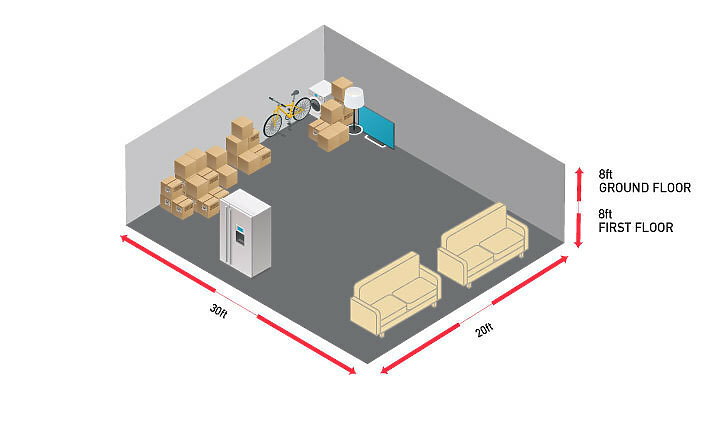 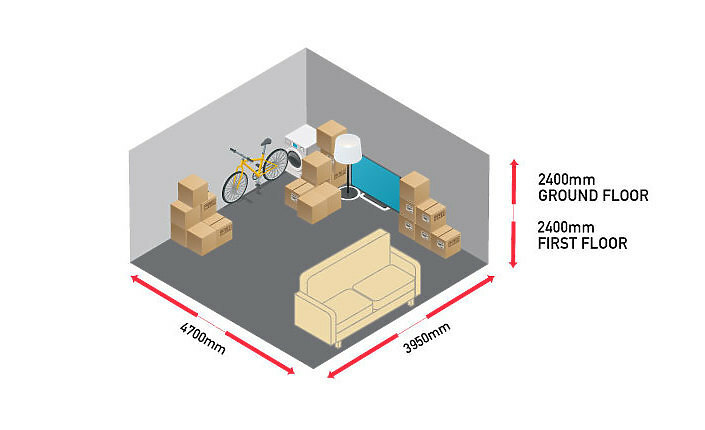 Confused What Self Storage Unit Size You Need? 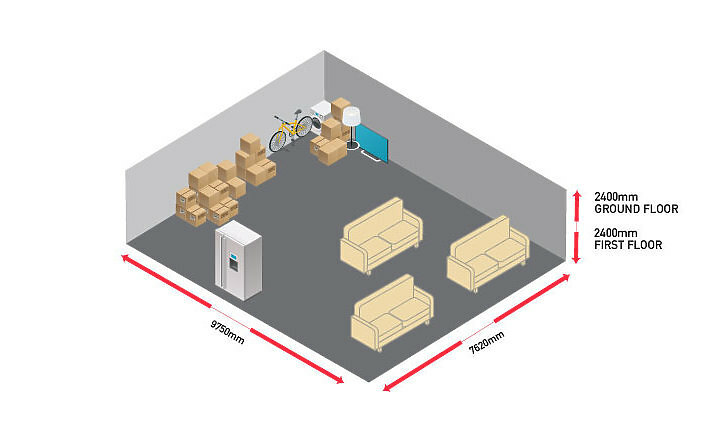 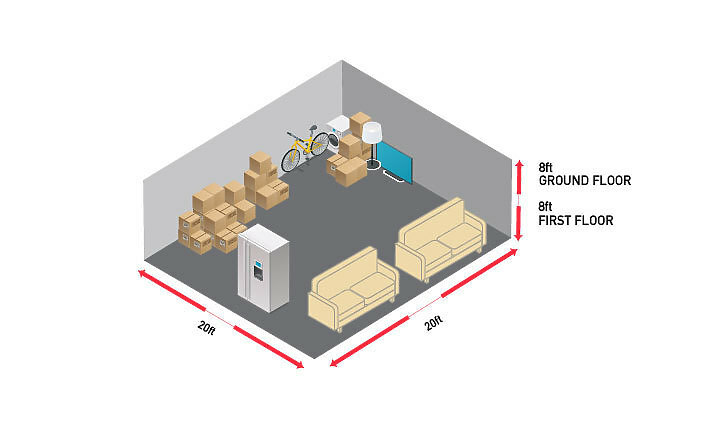 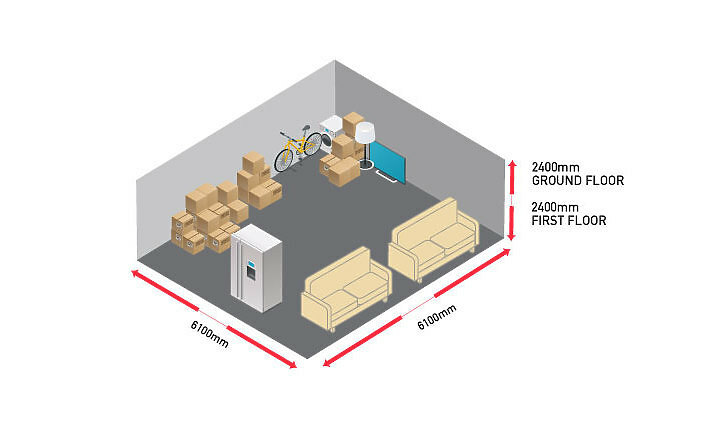 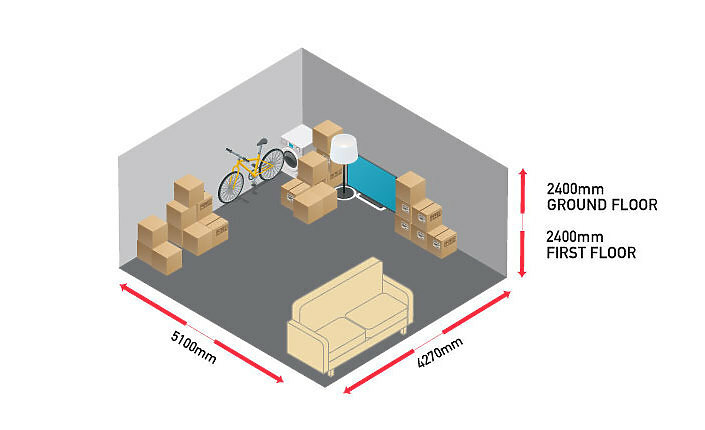 Use our handy guide below to get an idea of what Storage Space will be best for your needs. 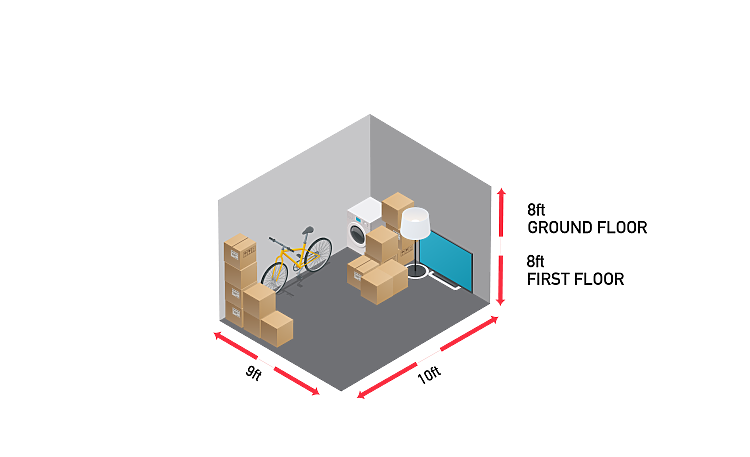 If you need help our advice please click here to find your nearest location and our knowledgable team will be happy to help. You can always upsize or downsize at Big Padlock depending on your needs. We invite you to a viewing where we can show you around and help you select the best size for your needs. 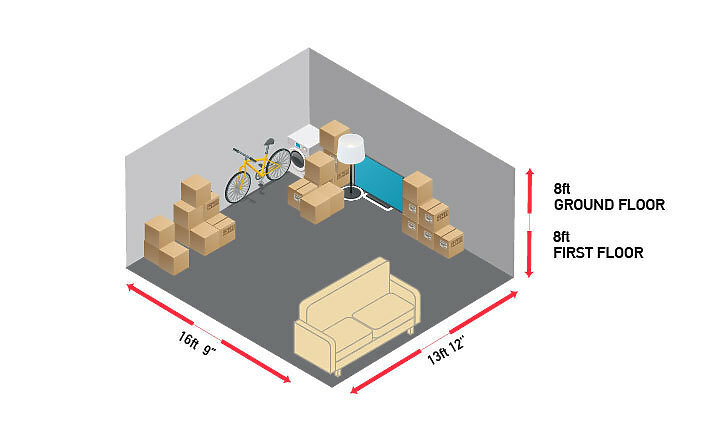 Please note: Dimensions are approximate. Box estimations are based on our medium boxes (dimensions = 457mm x 330mm x 330mm or 1ft.6" x 1ft. x 1ft.) 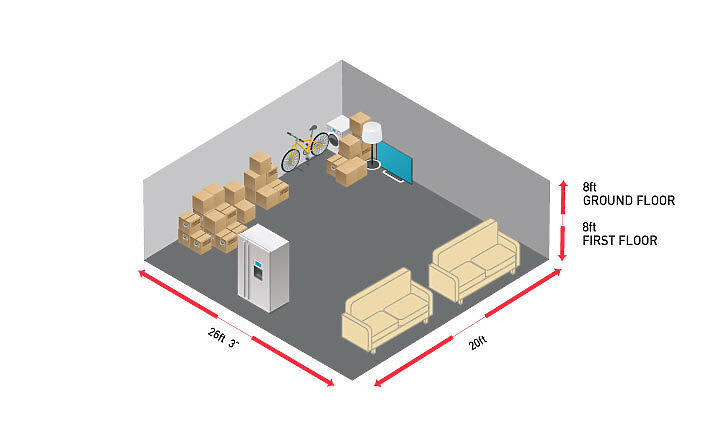 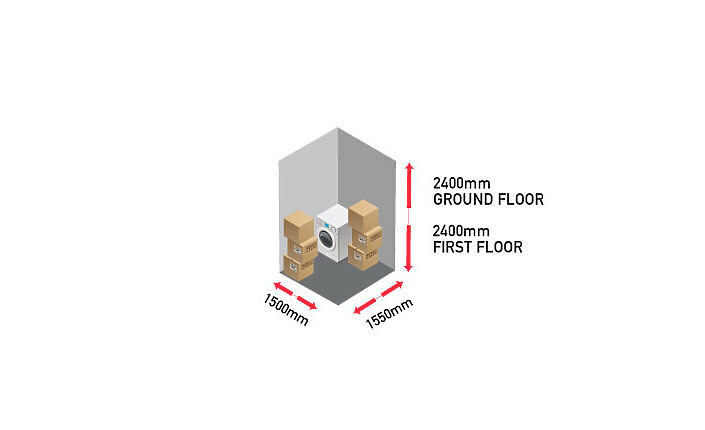 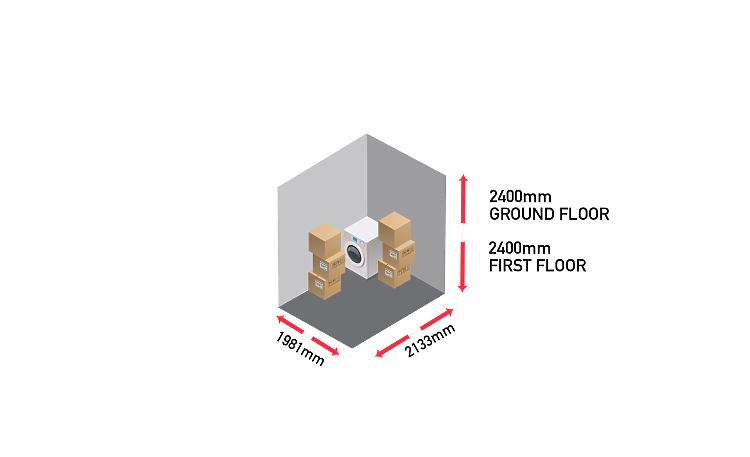 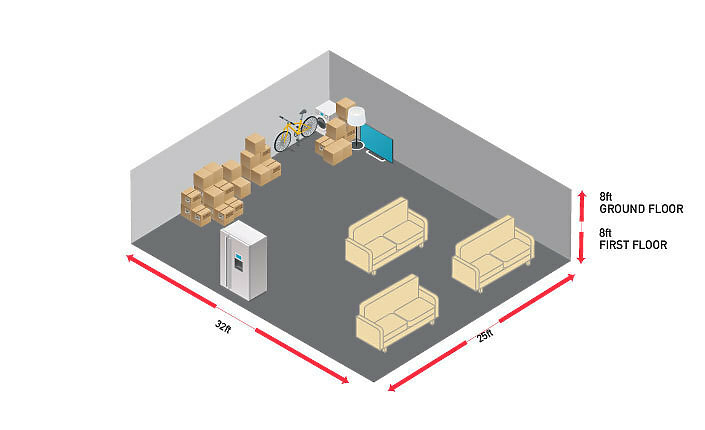 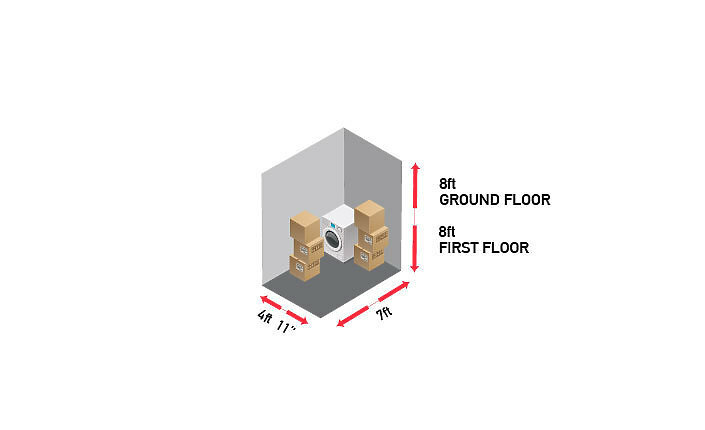 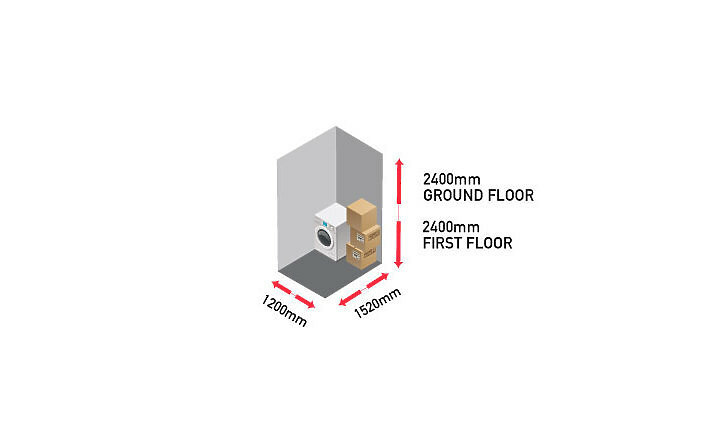 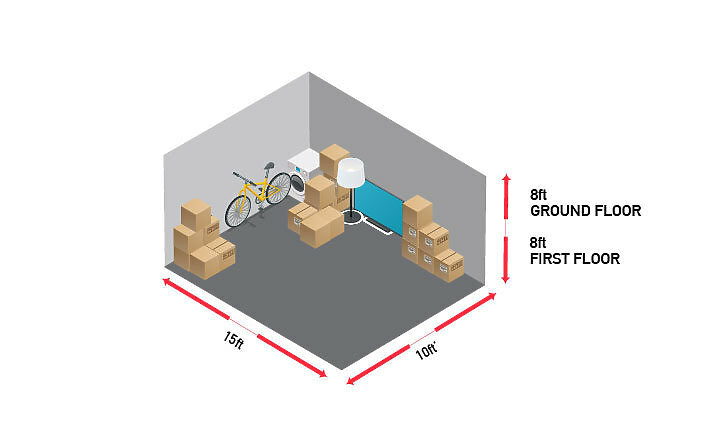 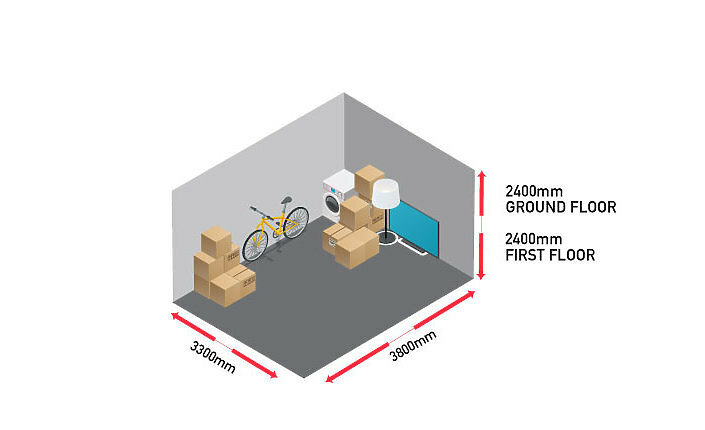 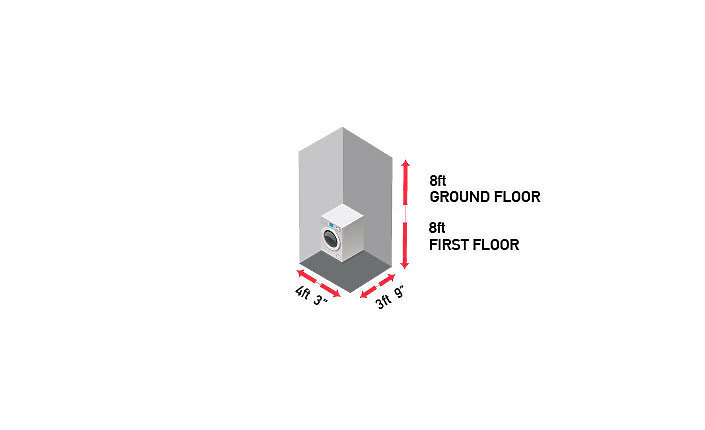 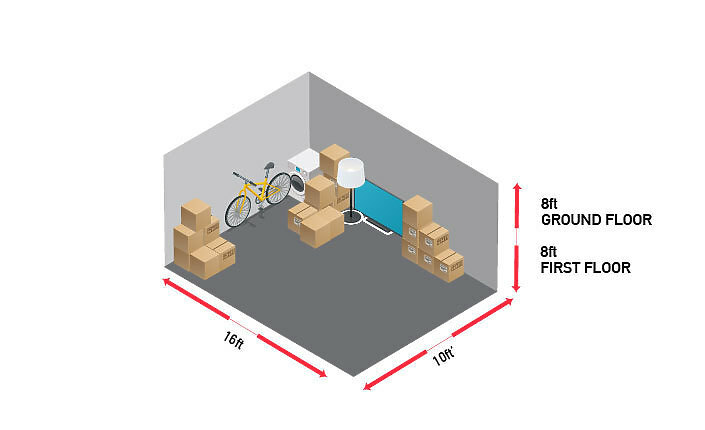 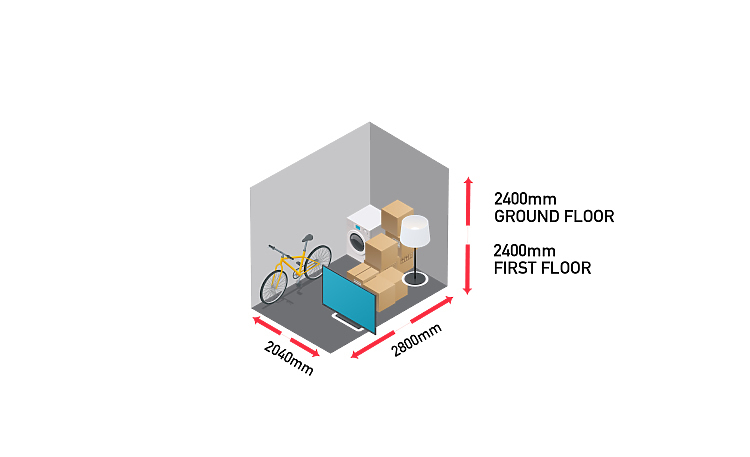 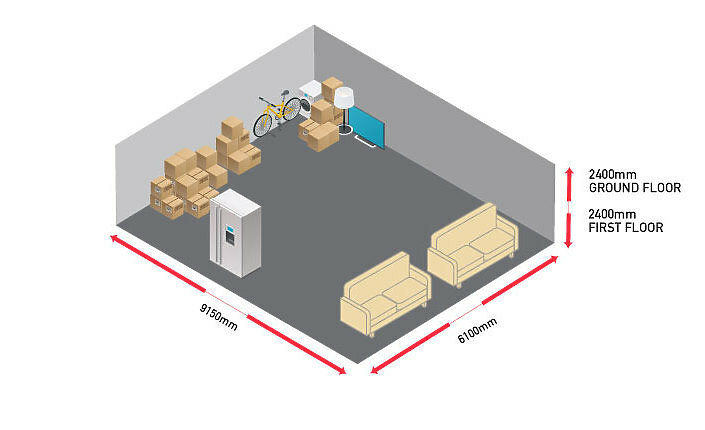 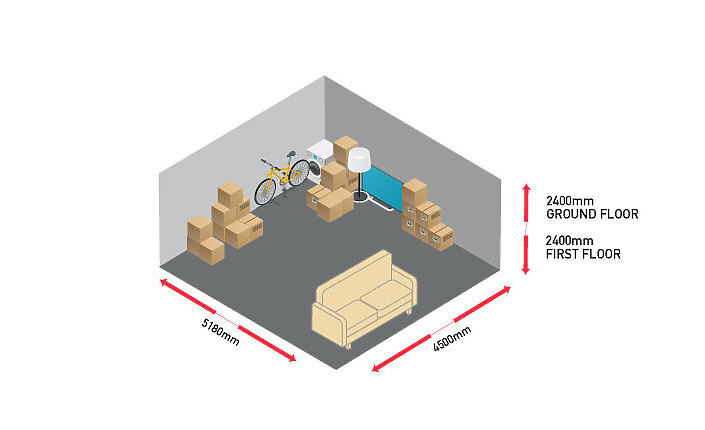 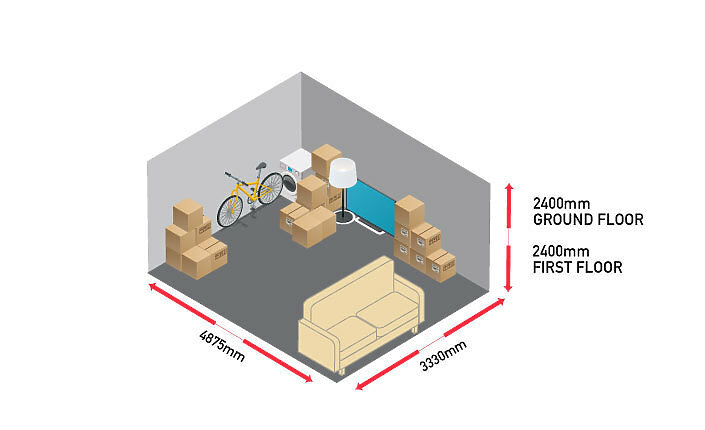 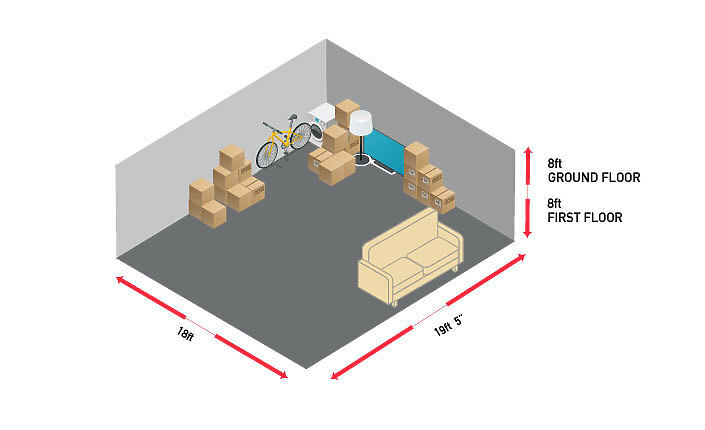 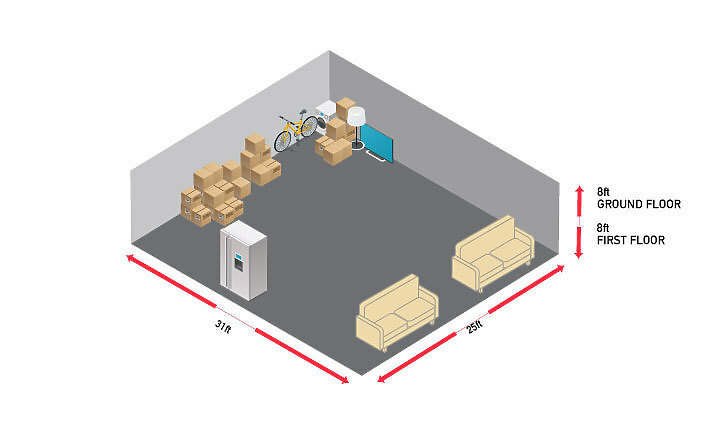 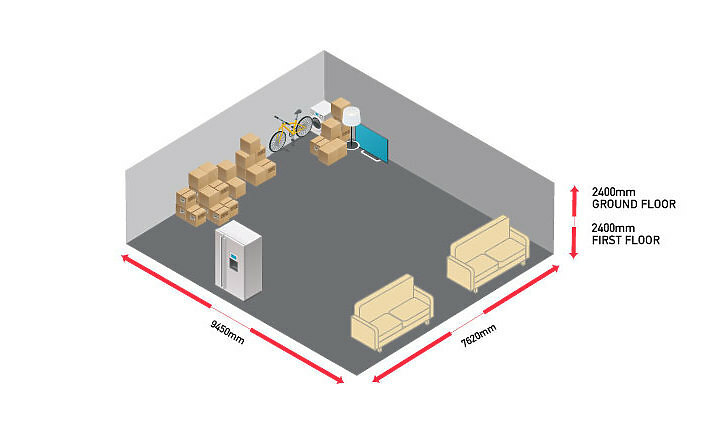 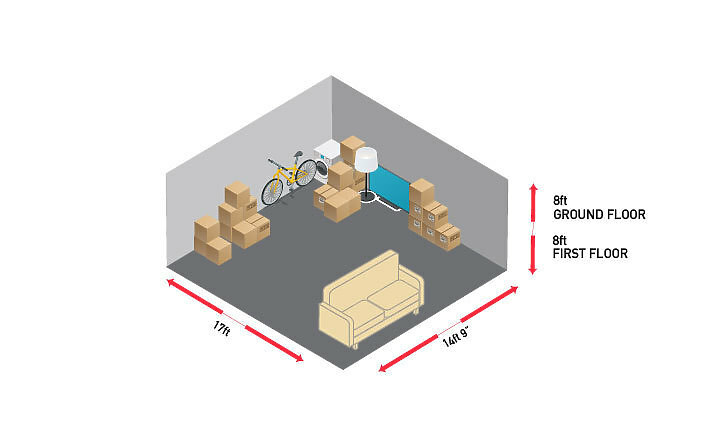 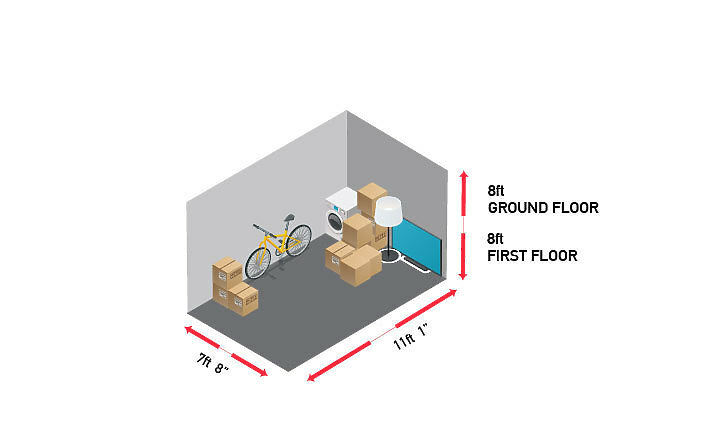 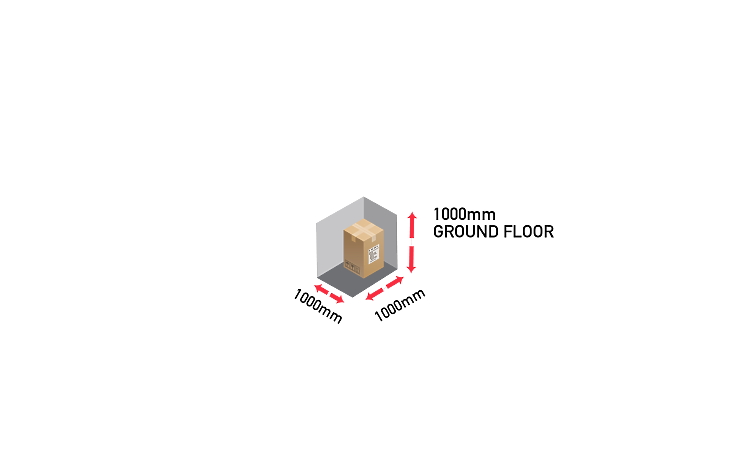 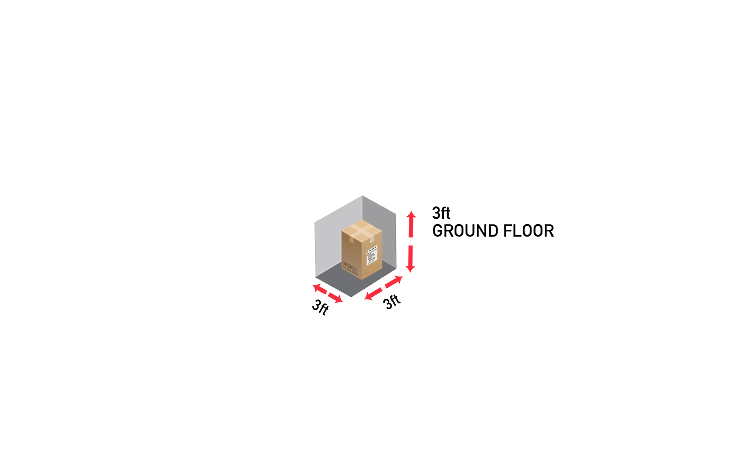 If using your own, or another company's boxes, please check the actual box measurements before using this guide. Vehicle sizing is approximate, please check with your hirer or removal company for the measurements of the vehicle recommended/supplied. If you're still not sure, please contact us and we can help you. Make sure all your belongings are kept secure and fully packaged. We recommend that you bubble wrap any fragile items you may store with us, and box it up for extra security. 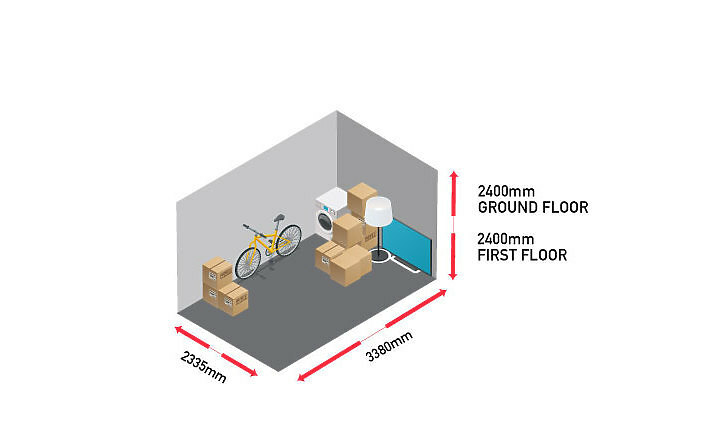 Once inside the unit we will keep it safe for you but its always good to package items that may get damaged travelling to and from our facility. 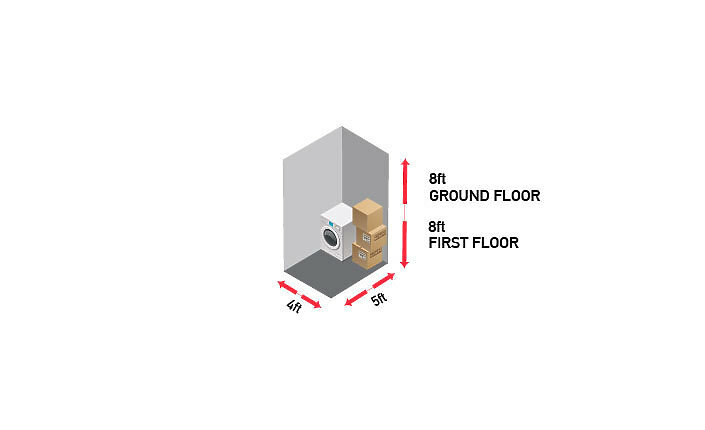 Making a list of everything in your unit can save a lot of time in case you forget whether or not you put it away in storage. 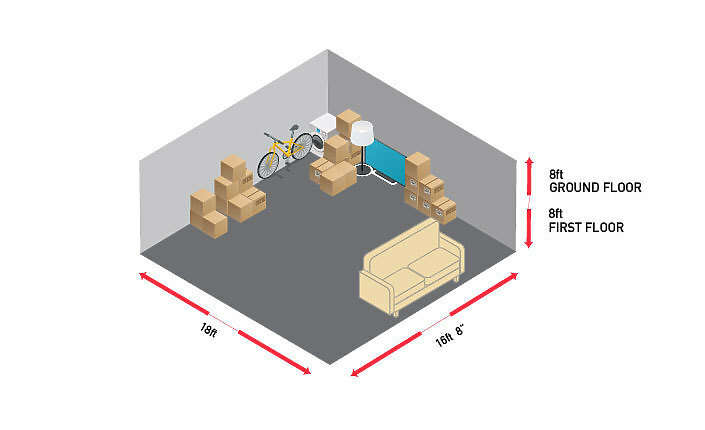 To save time if your retrieving an item, write on the boxes whats stored in them. This just means that you don't need to spend along time searching for what your looking for. 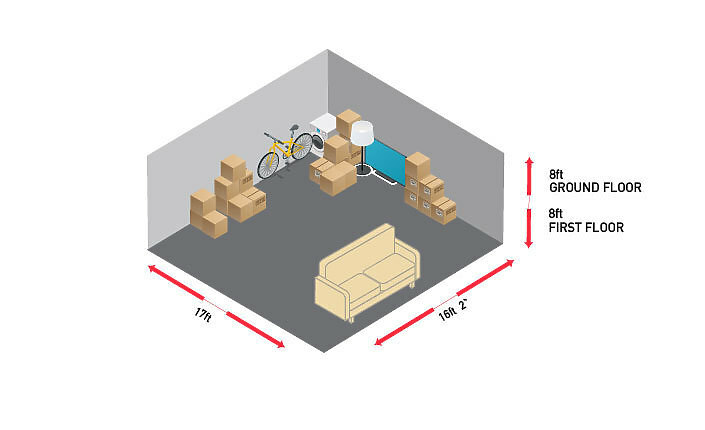 We recommend the you cover any furniture you store. 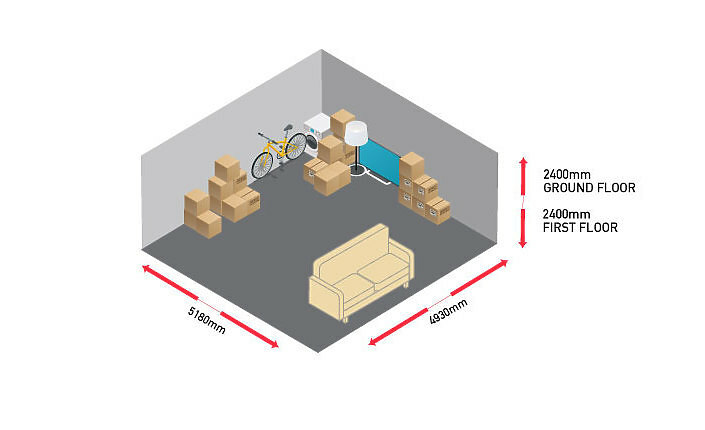 We do supply sofa and chair covers for you to purchase at reception. But you can always cover in a sheet to protect from dust and dirty that may come into contact.